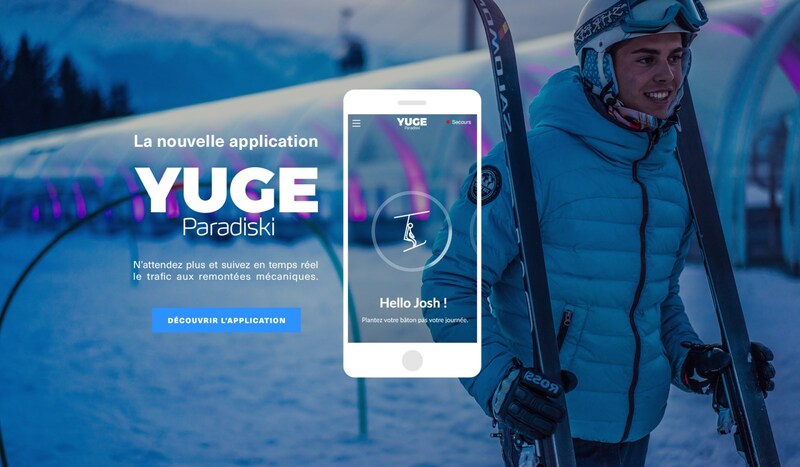 A unique ski experience with an app that is made for you! 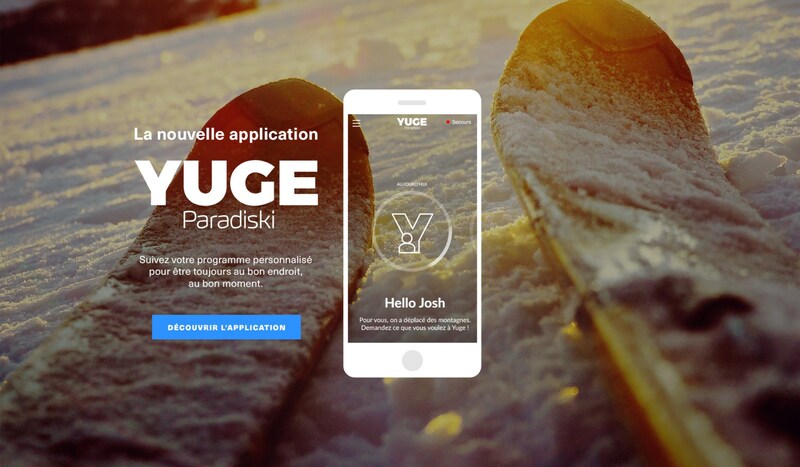 Paradiski’s YUGE app offers a unique and personalised experience in the Les Arcs / Paradiski area. Yuge will be your tourist guide, your own personal assistant within your grasp. 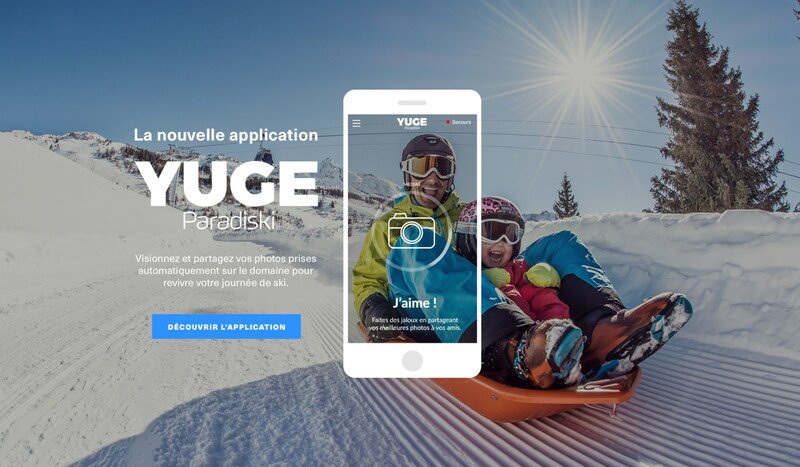 The app will ensure that you are always in the right place at the right time to make the most of the ski area, whether you are in Les Arcs or on the peaks of Paradiski. Yuge is intuitive and adapts to your level and requirements, offering the services you need at the right time and place! The answers to these questions and many many more can be found in just one place: YUGE. You won’t find yourself waiting at the foot of the slopes in Les Arcs queuing for lifts anymore! So that you can optimise your ski day, Paradiski YUGE can give you a full report on the riding conditions. Make the most of your skiing time by consulting the lift queues in real time on the app. Every day, you can get a programme of activities adapted to your interests and close to where you are staying. Yuge recommends appropriate itineraries in Les Arcs or Paradiski for your level. You can also check the weather forecast, , the day’s weather and, particularly, how busy your sector of the resort is. You have a piste map in your pocket at all times so you don’t get lost or miss anything. 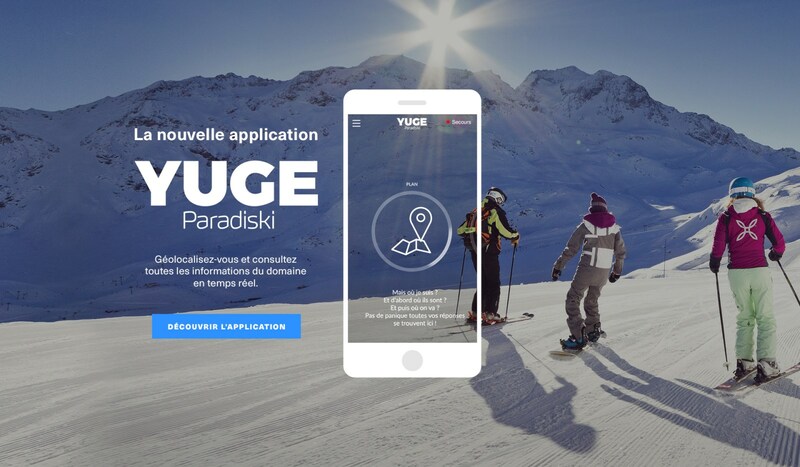 If you want to locate your friends, you can use Yuge to show where you are and see where they are in real time, anywhere in the Paradiski area. Using the map, you can also create an itinerary adapted to your ski level and locate any places of interest nearby. - your itinerary and the photos or videos you have taken in Les Arcs and Paradiski. - what your kids have been up to and where they have been. Challenge each other and be awarded virtual badges. YUGE app is available and free!